The rise in July’s Pending Home Sales Index reading is important for two reasons — both of which highlight a U.S. housing market in recovery. Buyer and sellers in South Orange County and across the country would do well to pay attention. From this, we can infer that the rate at which homes are selling in California and nationwide is approaching the same “stimulated” levels that the tax credit afforded two-plus years ago. The difference is that today there are no buyer tax incentives. Homes are going under contract at a quickening pace. 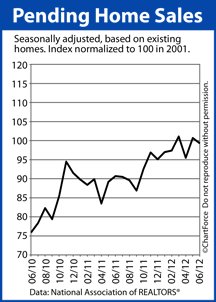 In May, for the second time in 3 months, the Pending Home Sales Index crossed the 100 barrier, stretching to 101.1. A “pending home sale” is a home under contract to sell, but not yet sold. 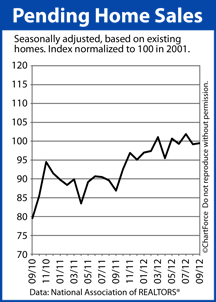 Statistically, the Pending Home Sales Index reading is significant for two reasons. 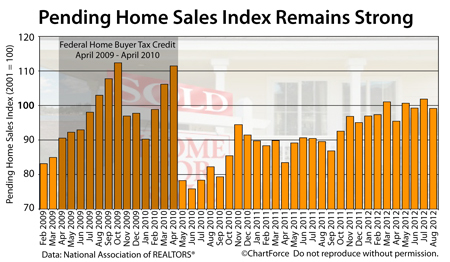 First, the index’s reading is at its highest since April 2010. From this, we infer that today’s pace of home buying in California and nationwide is approaching the “stimulated” levels of two years ago — but without the federal stimulus. This is a positive signal for the housing market. 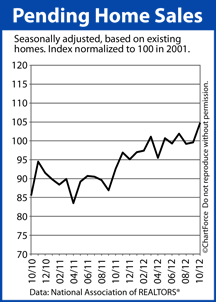 Second, because the Pending Home Sales Index is a relative index; and, because it was assigned a value of 100 upon its inception in 2001, readings higher than 100 imply that the housing market is performing better than it did during the index’s first year. 2001 happened to be a strong year for housing. 2012, it seems, is shaping up to be a better one. And, there’s another reason why the Pending Home Sales Index matters so much to buyer and sellers of South Orange County — the Pending Home Sales Index is among the few “forward-looking” housing market indicators. Rather than report on how the housing market looked 30-60 days in the past, as the Case-Shiller Index does; or the Existing Home Sales report, the Pending Home Sales Index looks 30-60 days to the future. 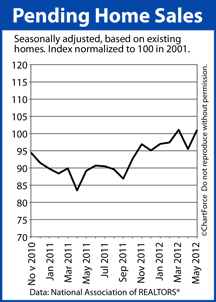 80% of homes under contract sell within 2 months so, as the Pending Home Sales Index goes, so goes housing. Based on May’s data, therefore, we can assume that home sale figures will rise through the summer. If you’re shopping for homes right now, consider going under contract while the market remains somewhat soft. Mortgage rates are low and so are home prices. It makes for good home-buying conditions. Mortgage markets improved only slightly last week despite a large 2-day rally that lasted through Wednesday and Thursday. Unfortunately for mortgage rate shoppers in South Orange County , markets were worse throughout the other 3 days of the week, which kept mortgage rates from dropping to new all-time lows. As with many weeks since the start of the year, political and economic action within the Eurozone dictated the direction of domestic mortgage rates. Last week’s 2-day EU Summit was the major driver of markets. In the days leading up to the summit, mortgage rates worsened as optimism in summit’s outcome grew. This is because a stable Europe is good for the world’s economy which, in turn, encourages Wall Street investors to move money from “safe investments” such as U.S. mortgage bonds into more risky ones such as equities. This creates an excess supply of mortgage bonds which causes mortgage rates to move higher. Then, on the day prior to the summit, the optimism faded. 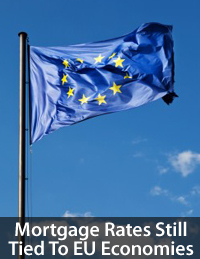 Several Eurozone leaders expressed an unwillingness to compromise, rhetoric which drove investors back into “safe” asset classes, explaining the mid-week drop in mortgage rates. However, Friday, in a surprise move, EU officials announced a plan to recapitalize Europe’s banks and to reduce borrowing costs for Spain and Italy, once again, pushing investors back into a risk-taking mood. 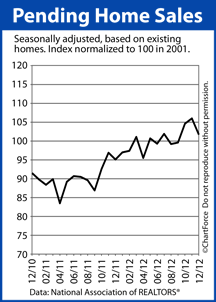 The news in Europe overshadowed strong housing reports here in the United States. New Home Sales and the Pending Home Sales Index both gave strong results and inflationary pressures were shown to be in check. 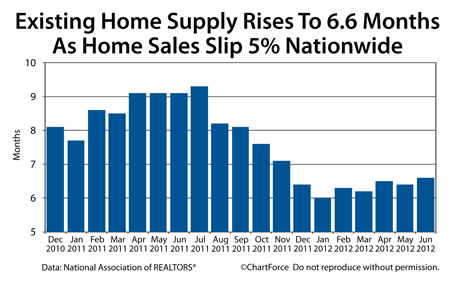 The housing market continues its slow, steady recovery. This week, mortgage rates are expected to remain volatile. The markets have had the weekend to pick through the EU agreement and, later this week, the Bureau of Labor Statistics will release the June 2012 Non-Farm Payrolls report. In addition, this is a holiday week so trading volume is expected to be lighter-than-usual. Mortgage markets will be closed Wednesday.